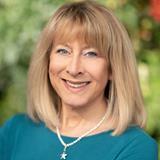 Ellen Cohen - Always There for YOU!! helping them to make wise real estate decisions. a Certified Buyer Representative (CBR). Having completed hundreds of hours of continuing education, she continues to commit time to studying, not only the forms and everyday paperwork of the business, but also, the art of marketing and negotiating. Ellen represents National and International relocation companies including all of Coldwell Banker's affiliate companies. Ellen's presence on the Internet assists Buyers and Sellers through dozens of real estate and client interest sites. She previously was Associate Manager and Education Director for the Pardoe RE and Pardoe ERA offices in Potomac Village. She has a degree in design and was a professional designer and interior decorator. Ellen has been a professional, full-time agent since 1983 and is proud to have thousands of happy and satisfied clients. She has marketed and sold millions of dollars worth of real estate in the Washington metropolitan area. Her extraordinary skill, persistence, and flair for creative solutions are what you need in your next real estate transaction.